The second edition of this highly successful text focuses on the major changes that have taken place in this field in recent times. 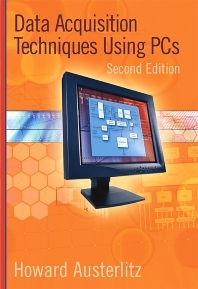 Data Acquisition Techniques Using PCs, Second Edition, recognises that data acquisition is the core of most engineering and many life science systems in measurement and instrumentation. It will prove invaluable to scientists, engineers, students and technicians wishing to keep up with the latest technological developments. All engineers and scientists using data acquisition as part of their job and/or research functions. Including: electronics engineers, biomedical engineers, neuroscientists, control engineers, chemical engineers, chemists, manufacturing engineers and mechanical engineers in machines, fluids and thermodynamics.